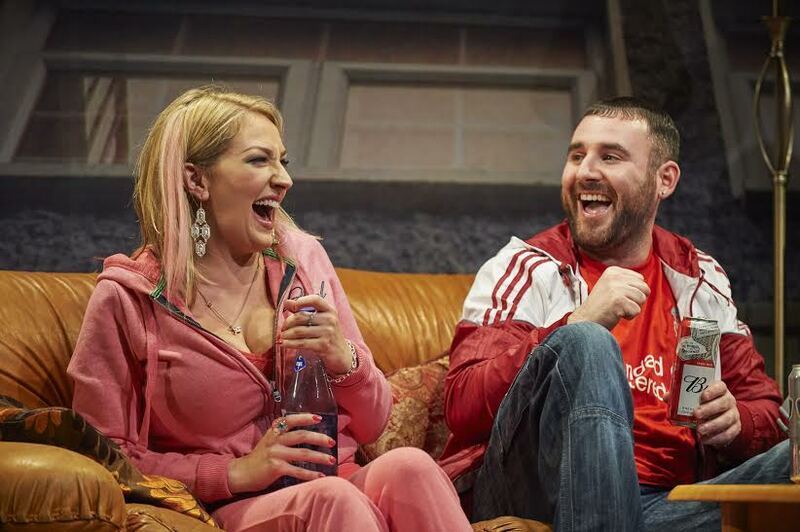 It is a very hard thing to create a work of art that mirrors reality – but so vivid is this reflection of working class Dublin that it is as if the audience are sitting in a living room with the actors as Tina’s Idea Of Fun unfolds. Writer Sean P Summers, has painted clear pictures of troubled but loveable characters – such as single mother, Tina, the loner middle-aged neighbour, Paddy, and teenagers Bundy and Aaron. And it is with rapid realisation that this play is more than just the mimicking of a life many writers may not be able to contemplate – Tina and her clan would seem to be snapshots from Summers’ past. They live, they breathe and it is with certainty to assume Tina et all, are smoking and drinking in a tower block somewhere in Dublin, just going by different names. 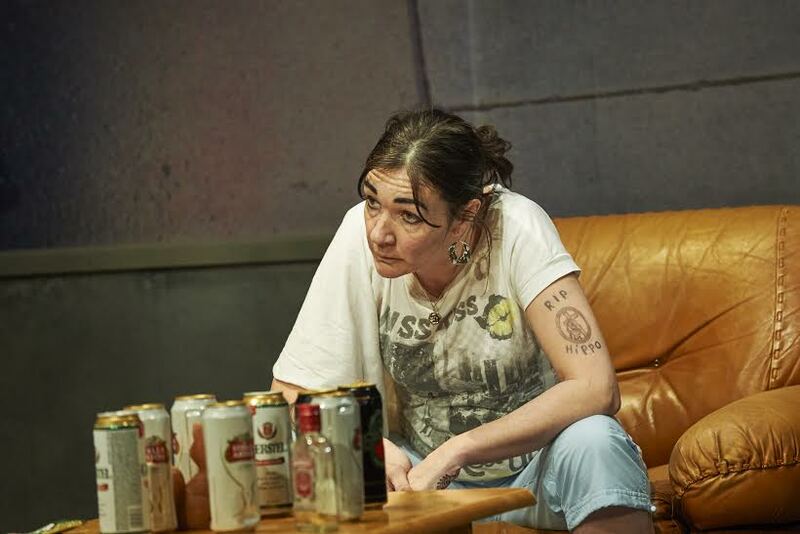 Tina appears to us as a single mother who seems to be re-living her youth, smoking and drinking to excess in her flat, with friends Dave (Keith Hanna) and Edel (Sarah Morris). The dynamic between a mother trying to establish her authority on her 16-year-old son at a time when it seems too late for him to take her seriously as a responsible voice, is convincing. 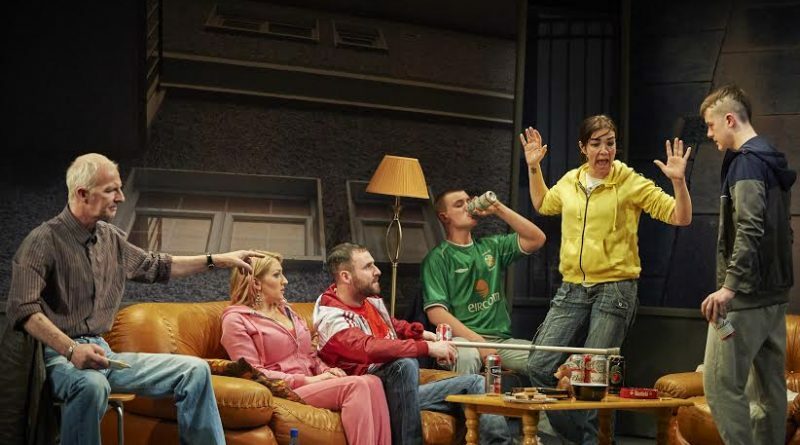 Though there are moments of warmth between the two, the tense periods seem to be longer lasting as Tina’s concern borders on obsession as Aaron grows closer to odd ball neighbour Paddy, who seems determined to align the young man and his friend, Bundy (Josh Carey) to Republicanism. As Queen Elizabeth II’s first visit to Ireland approaches, the tensions between Tina, Aaron and Paddy, rise and yet somehow just as it seems all is lost, Summers and director, Conall Morrison, create a landscape of hilarious black comedy. Only in a play like this, one that is so close to the truth of how rivalries can turn and twist in to friendships in this world, could a sandwich filled full of dog excrement, become comedy. Or could a mother, who clearly neglects her teenage son, be so warmly received. Perhaps in Tina, we all see our own failures. She is the symbol of a woman trying to get it right but so often failing to strike a balance. Fran (Ruth Hegarty) assumes the role of the responsible adult in Aaron’s life – caring for the boy during the week and allowing the wayward Tina to reprise her motherhood during the weekends. The actress is the stalwart, the matriarch, but her coaxing her daughter to “have a little cigarette,” when the mother is having a mini breakdown, shows her own failings as a responsible voice. Though very comedic throughout, the play does of course have deeper, political and social undertones. Paddy may be viewed as the neighbourhood weirdo by Tina and her friends, but his anger at the Queen’s visit when so many people “are on hospital trolleys,” is a question many asked during the multi-million euro event. And for many, the ever increasing gap between rich and poor, is of course present today and evident throughout this show. Yet despite the characters being poor, dysfunctional, and a little unhinged in some respects, there is of course a charm at the heart of each and every one. Summers’ and Morrison’s ability to capture reality and place it on a stage for all to see, is impressive. While the performances of Fay, Connolly and Hegarty, are seamless. This trio are truly talented actors, able to grasp a deep understanding of their characters and the world in which they live. While young actors Graham and Carey (Bundy) provide believable and warm portrayals of teenage lads looking for adventure. The chemistry between the two, as they giggle nervously as young boys do and taunt and tease each other, is amusing and enjoyable to watch. Tina’s Idea of Fun is a clever soap opera of a play that leaves one feeling if only there was a second episode to return to. The play, part of The Abbey’s Waking the Nation 2016 centenary season, is showing at the Peacock Theatre, until Saturday, May 14.